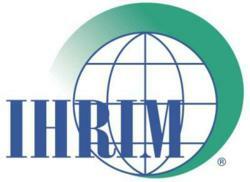 HRIM clearinghouse The International Association for Human Resource Information Management (IHRIM) has announced a new feature on its website; a career center designed for job seekers and employers in the HR and HRIM community. The aptly named Career Center will list hundreds of jobs and other means for forging career and recruitment connections between applicants and employers. Additionally, current members of IHRIM receive a 20 percent discount on each job posting package. All new customers also receive introductory pricing for a limited time.